The character of old buildings shines through in their authenticity, whether that’s history, age or patina, design, materials, or quirk. A single-story stretch of commercial building at 1904–1908 Bardstown Road at Kenilworth Place is quite a simple retail structure architecturally, but attention to detail makes it a superb example of early 20th century commercial architecture and a real gem for the Deer Park neighborhood. Along Bardstown Road and an adjacent alley, a small decorative roof of terra cotta tiles, today painted and in need of repair or replacement, gives a distinctive texture to the structure. The retail building also features a line of detailed transom windows above a bracketed window frame that furthers this effect. The structure shows craftsmanship that was popular when it was built almost a century ago in the Arts & Crafts style. With a building like this, the challenge comes when it’s time for maintaining such a facade, and this property could really shine if kept well. 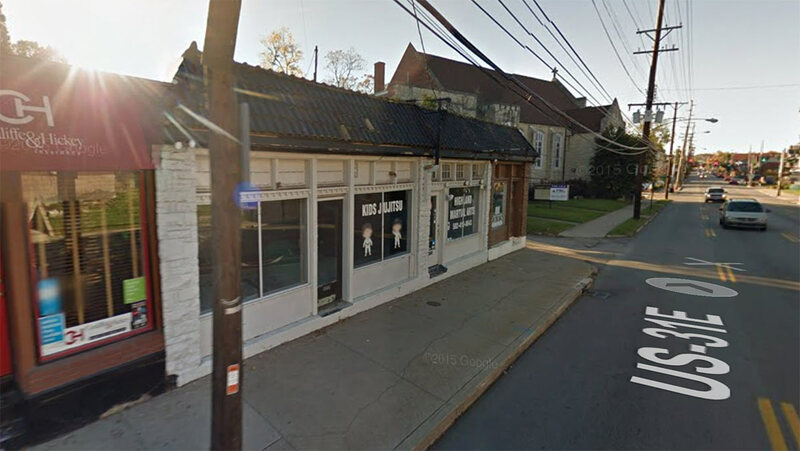 But proposed changes that will be discussed Tuesday by the Bardstown Road / Baxter Avenue Review Overlay District (BROD) could fundamentally change the style and character of the structure. An example of a standing seam roof provided by Oatken’s application. 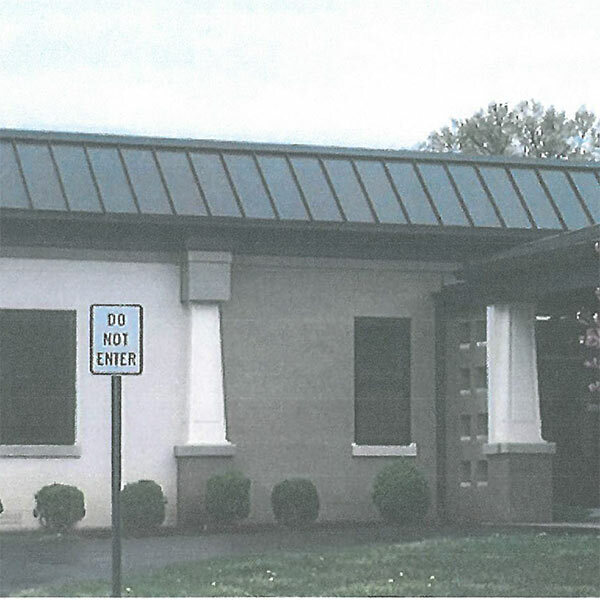 Remove the existing painted terra cotta roof line and replace them with a bronze-colored standing seam metal roof. Remove luon panels at the existing storefront and replace them with PVC or another similar material. While it’s certainly welcome news that the transoms and bracketed window frames will be kept intact, the material change at the roofline (and to a lesser extent at the storefront system) will give the structure an altogether different look than it has today. 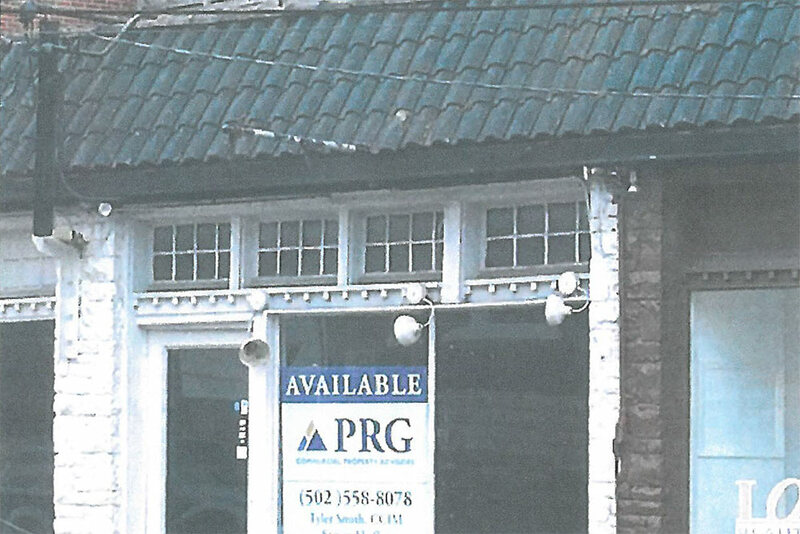 In documents submitted to the city, the roof cost is estimated at $9,000 to $17,000 for the new metal portion. No estimates were listed for replacing the section with similar terra cotta tiles in keeping with the structure’s original design. The Bardstown Road / Baxter Avenue Review Overlay District (BROD) will discuss the proposal tomorrow, Tuesday, May 24 at 12:00p.m. at the Metro Development Center, 444 South Fifth Street. The meeting is open to the public and should be pretty short, as this item is the only one listed on the agenda. The building is currently for lease and more information can be found here. Learn more about the BROD here. Interesting that they’re just now going before the BROD when the lower windows have already been removed! Standing seam metal is in no way an appropriate material on a storefront building along that corridor. The tiles appear to be intact, with only some missing teeth. If they could be accessed from behind, maybe they woudn’t have to be removed in order to do any repairs to address water entry (if that’s the problem). The tile roof departed three weeks ago. The metal suburban storefront concept is ridiculous and insensitive. But what can you expect from an administration that places no value on vigilance and professional staff monitoring these districts for changes before they’re three miles down the road ?! I discovered a ginormous two story concrete block addition being built behind a busy stretch two weeks ago. But if its not called in to 311 inspectors keep their blinders on and design staff is assigned to sweep up the broken glass and feed it to the committee . When you can demolish an entire building and then get a permit to ” renovate” it, that’s called developers privilege . And that nonsense kills traditional corridors. Slowly, but completely. Its happening in preservation districts as well. In order to monitor districts you must be on the street. All the time. Professional,staff is locked into their cubicles and told to wait for the phone to ring. Works like crap every time. I hate to quibble but details are sometimes important: An “overlay district” is a geographic area, not a group of human beings. Who is going to preside at this meeting of this “district”? And what authority do they have?